What is the Vatican City? Vatican City – everyone’s heard about it, but what is it exactly? Is it a part of Rome, is it independent, are only priests allowed in? There are a lot of mysteries and misconceptions surrounding Vatican City, so here are 5 fascinating facts. 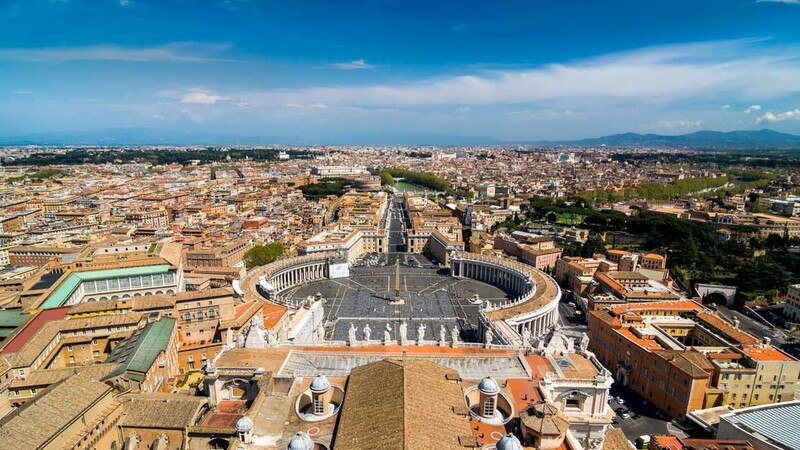 With a tiny population of 842 and an area of 110 acres (roughly an eighth of New York’s Central Park), Vatican City is the world's smallest independent nation-state. 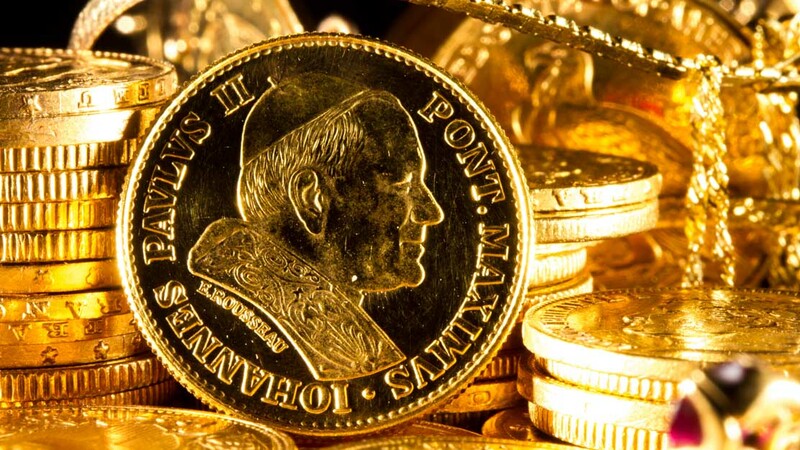 As a completely non-commercial economy, all of Vatican City’s money comes from donations, museum admission fees and the sale of postage stamps, books and tourist souvenirs. Featuring the world-famous Vatican Museums, Sistine Chapel and St. Peter’s Basilica, Vatican City is a highly popular tourist destination, attracting over 4 million visitors yearly. 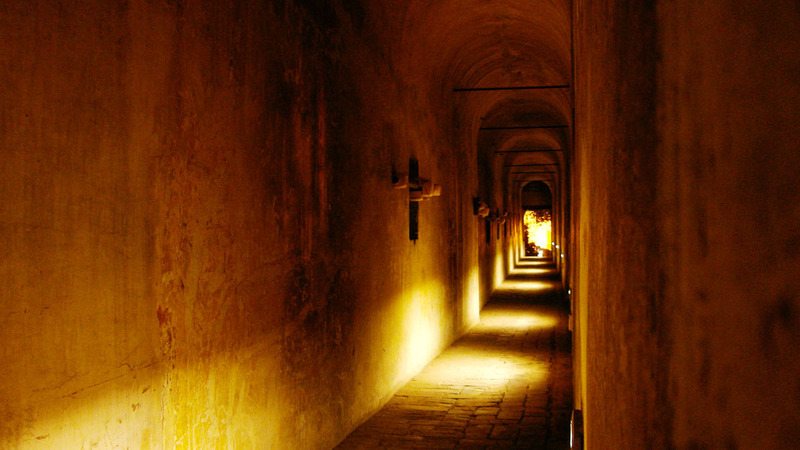 In 1277, a secret passageway was built between the Vatican City and the nearby fortified castle Castel Sant’Angelo, providing an escape route for the pope if the city was attacked. 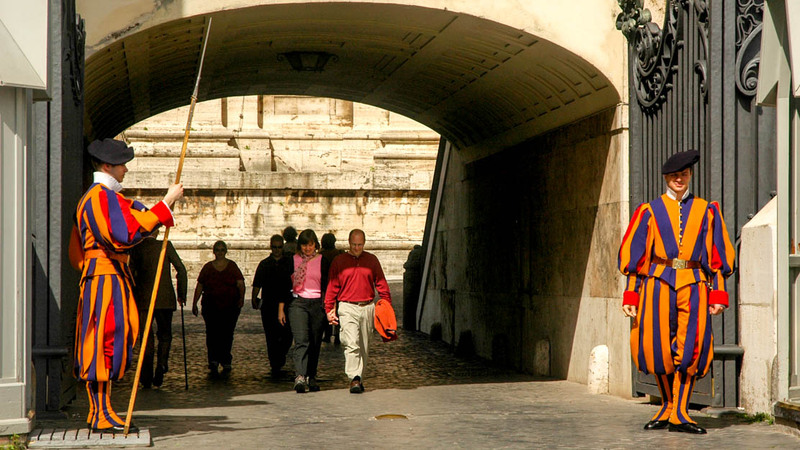 The colorfully dressed men standing in front of the city’s entrances are the famous Swiss Guards. Former mercenaries, they are now the permanent de facto army of Vatican City. Although Vatican City is extremely popular with tourists all year around, if you’re looking for a quieter visit, your best bet is during the low season between November and February. There is so much to see in Vatican City, make sure you’re not pressed for time. Importantly, if you want to see the Sistine Chapel, it’s essential that you enter the Vatican Museums before 3:00 PM so you can reach the chapel before it closes. 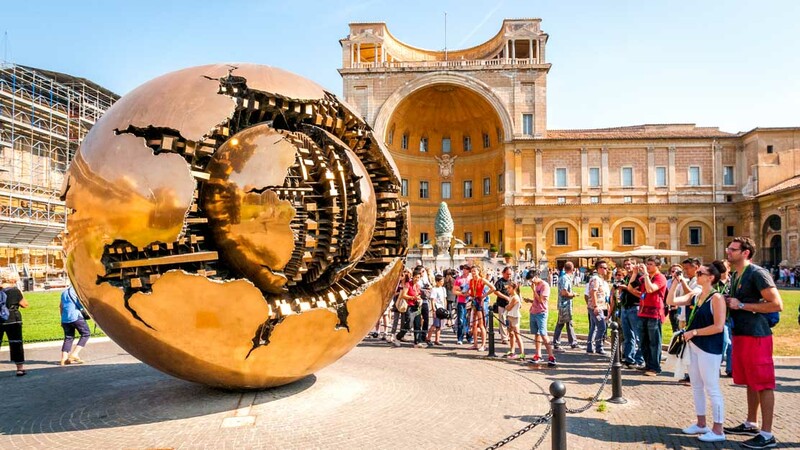 Although there is more than enough to take in as an individual visitor, those who want to learn about Vatican City’s rich history would benefit from one of the many excellent tours offered. There are public as well as private tours. Note that latter need to be booked well in advance. You’re unlikely to run into the pope on your visit to Vatican City. However, every Wednesday the pope holds a public audience on St. Peter’s Square in the summer and in the Audience Hall during winter. The audience starts at 10:30 AM, but most visitors arrive earlier to secure a good seat. Security opens between 8:00 AM and 8:30 AM.